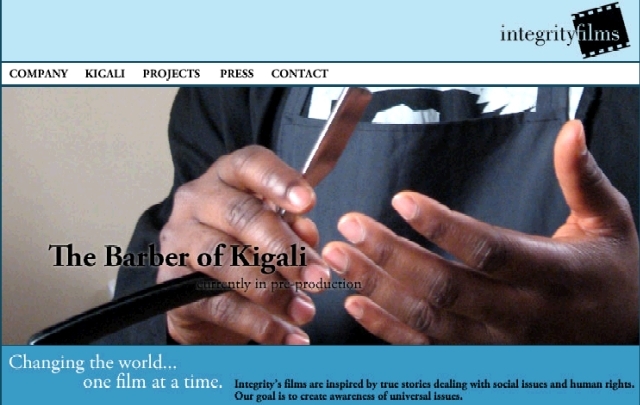 "The Barber of Kigali" screens at The Boston International Film Festival on June 6th. This is a letter proudly announcing that my short dramatic film, "The Barber of Kigali, (Drama, 7 minutes) which I wrote and directed with the music composed by my good friend Nenad Bach, will play at the Boston International Film Festival on Friday June 6th, 2008 at the AMC/Loews Theater at 6:00 pm. The theater is located at 175 Tremont St in Boston, MA. The Boston International Film Festival is the largest International Film Festival in Massachusetts and one of the largest in the United States. My film is one of 100 films from around the world selected from over 2,500 entries. 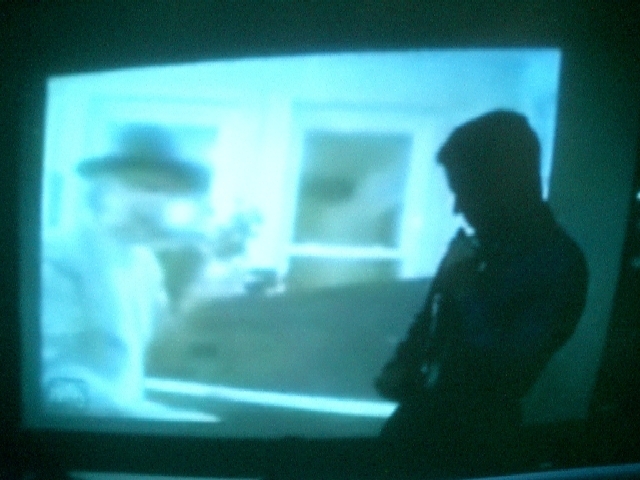 To see a trailer for my film, please go to: www.integrity-films.com. You can show your support by attending the screening in Boston. Hope to see you there! The idea of the film came to me after listening to a young Rwandan Genocide survivor's story of survival. I invited Patrick, a friend of a friend, now a recently graduated student from the University of Toronto, to speak to the high school class I was teaching. Patrick recalled his harrowing escape into the jungle from his father's murderers. He also spoke of immigrating to Canada as a teenaged refugee with no family, no money, and without speaking a word of english. Many students were moved to tears. "The Barber of Kigali" was shot over 3 consecutive nights (from 7 pm to 4 am) in a real barbershop in Scarborough, Ontario, a suburb of Toronto. In 1999, I joined Saturday Night Live Films after calling Lorne Michaels' office twenty five times before he returned my call. One year later, I was working in New York at the Broadway Video offices located in Times Square. My previous films include, "Chance", a short drama about a law student with a poker addiction, and "School'd", a short documentary about one day in the life of a teenaged gang member. This marks my second collaboration with Nenad, after first meeting each other eight years ago backstage at a live taping of Saturday Night Live. Our first time working together was on a sports-T.V. biography on Canadian NBA star, Jamaal Magloire, for Sportsnet that I directed and he composed the music for. In 2006, I worked for a semester as a guest lecturer at Taylor's University College in Malaysia. My students recorded original human rights songs and performed them live for Nenad Bach, at his recording studio in Croton on Hudson, New York. Nenad then played the students a song from his new CD "Everything is Forever" and talked with the students about his experiences in creating music that raises awareness for humanitarian causes. 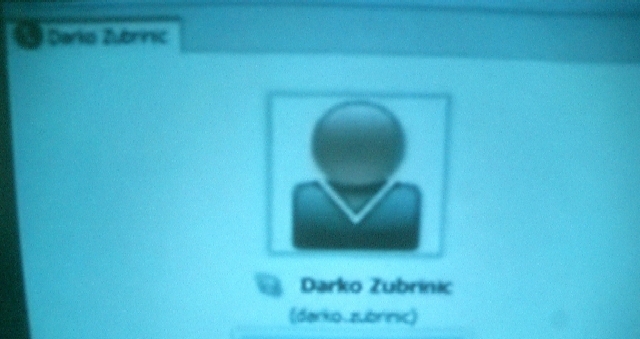 Professor Darko Žubrinić, based at the University of Zagreb, Croatia stayed up all night to match timezones in order to speak with the students about modern Croatian history. My next project is a feature dramatic film called "Mr.B." about Timmins Bissonnette a womanizing, colorful carnival and nightclub owner who guns down his childhood best friend in the lobby of the Royal York Hotel in Toronto, and spends his seventeen year prison sentence in Canada's harshest jails raising money for dying children. Production begins in July in Toronto, Ontario. This production still has some intriguing roles available for talented actors and intends to attract $400,000 more to complete production. I have hired Nenad Bach to compose some songs for the film. 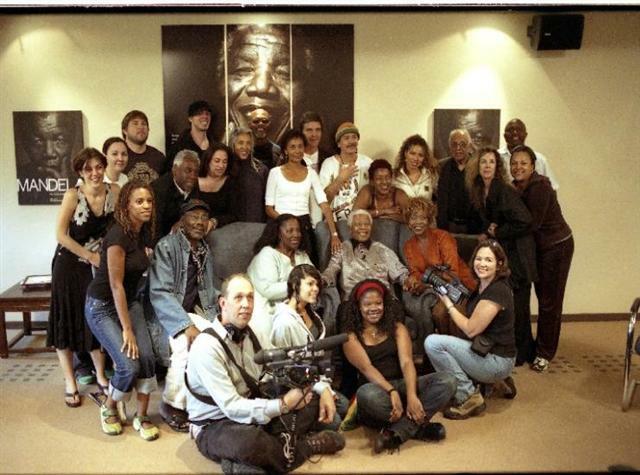 For those interested in learning more about my upcoming projects or who may be interested in participating in investing in one of my socially conscious, dramatic feature film productions, please e-mail me at jcohen@integrity-films.com. Africa's fight for freedom and the war on HIV/AIDS and extreme poverty. TV Awards) for his starring role in the Canadian TV Miniseries, 'Human Cargo'. sound alone achieves the desired effect. Carl learns what it truly means to be prepared. Producer: Eric Hayes, Hill Harper.